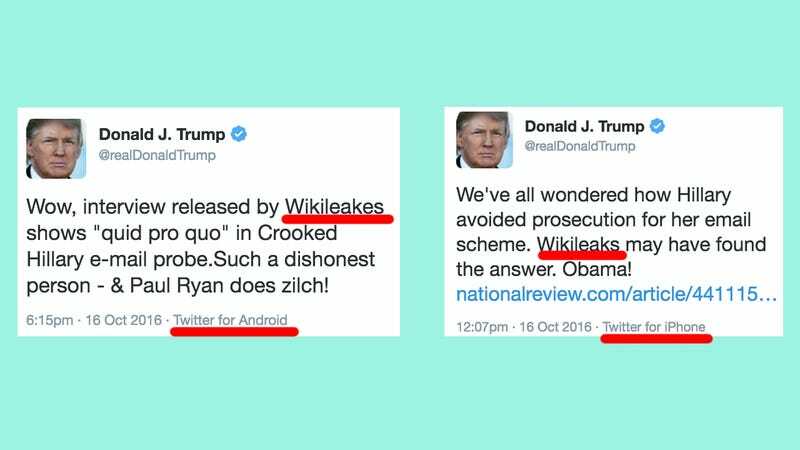 At the very least, whoever sends tweets from an Android on Trump’s account has consistently had issues spelling Wikileaks correctly. While whoever is tweeting from the iPhone appears to be an old pro at spelling it right. What could this indicate? One possibility is that Trump doesn’t spell too good, and no one has the courage to correct him. Until “Wikileakes” cracks the case, however, I guess we’ll never really know.